This lesson plan is a great way of developing students’ listening ability but also improving their writing skills. During this lesson students will learn more about one of the most colourful and diverse places in London, that is Camden Town. By the end of the lesson students will be more confident when writing / describing a place, learn the necessary vocabulary in order to express their own reason for visiting a tourist attraction. Plus they will understand why Camden is so popular. 1.Ask your students to close their eyes and imagine the following: It’s your first day in London/ Which tourist attraction are you visiting first? Are you visiting the London Eye, or you’re going to the British museum? 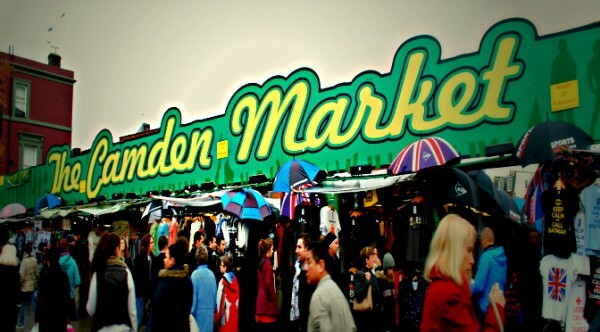 Or maybe to Camden Market? Or Oxford Street? Why do you go there? Students open their eyes and compare the ideas in pairs A-B. Teacher elicits answers from student A that s/he heard from student B ( this will allow students to recall what the other person said- see below) . Show students photos below, and ask what they can see in each photo, this will help you to generate interest, build context and pre-teach some useful vocabulary. a) Where is Camden Town? c) What people say about Camden? 3.Explain to students that you’re going to do a presentation about Camden so that they can show it to friends in their country or keep as a reminder of this lesson.